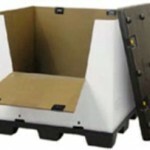 All-Pac specializes in the manufacturing and distribution of reusable plastic material handling products. All-Pac only carries products of the highest quality and is committed to the preservation of the environment and the American manufacturing industry. 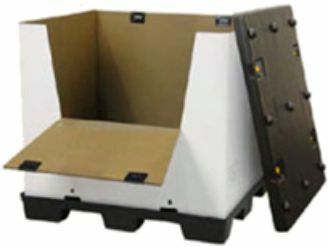 All available products are reusable/recyclable, rigorously tested, and always made in the U.S.A.
All-Pac sleeve packs come in many footprints, the two common sizes are 48” x 40” and 48” x 45”. The sleeves can be made to any height and can have special features like drop doors, custom printing, locking features, custom colors and sleeves can be plastic or corrugated. 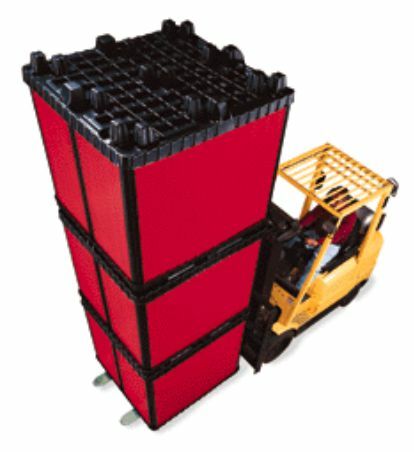 There are two types of plastic pallets that can be used, mirror image pallets, as shown on the right. 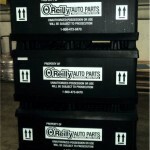 The pallet is also the cap, so that you have one pallet to inventory. The second is a pallet and cap combination which is used to reduce the height of the pack without reducing interior sleeve height. 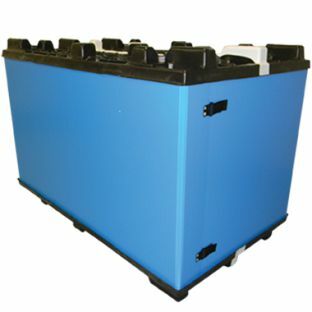 Both systems offer locking systems that lock the pallet and sleeve together for secure transporting. Contact us and let us help you take advantage of all the benefits that All Pac’s Sleeve Packs have to offer. 1. Reduced Packaging Costs – Sleeve Packs are both lightweight and reusable so you save on shipping costs. 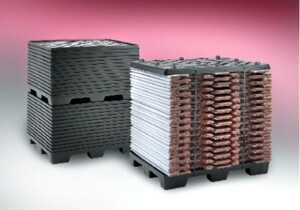 Unlike expensive one-way bulk containers, Sleeve Packs will protect your product for many trips while saving you money. 2. Lower Transportation Costs – Sleeve Packs durability and ease of handling can make your cost per trip less than $1 per container. Your investment will be recovered in a short time with long term savings in your future. 3. 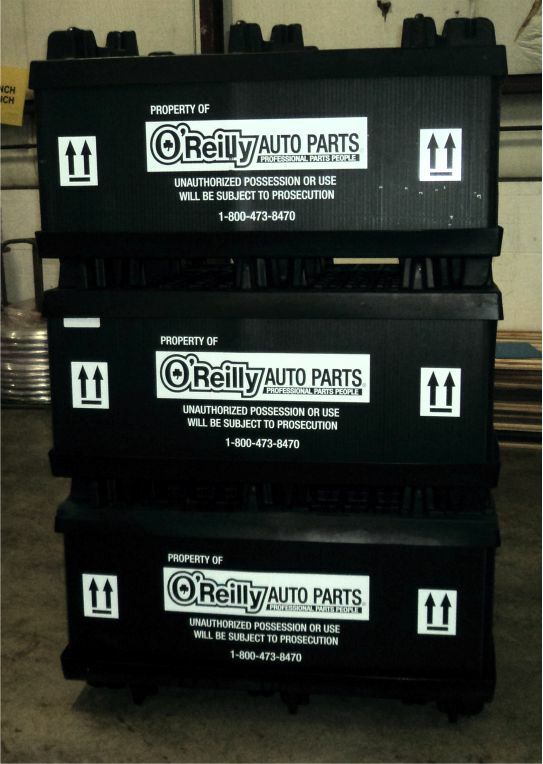 Minimized Storage – Increase warehouse efficiency and productivity while maximizing warehouse space by stacking up to four high. The lockable nine leg platform is nestable and easily integrated with other models. 4. Lightweight, Easy Assembly – Quick and easy for one person to build and collapse. 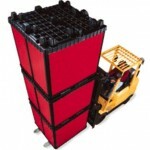 Thermo-formed pallets are lighter, and easier to handle, than wooden pallets. Most standard sizes weigh 12 to 15 lbs. 5. Completely Customizable – Custom dividers and partitions provide added product protection and can be configured to fit your specific needs. Both the pallets and the sleeves can be made in custom colors and printing is available on the sleeves.